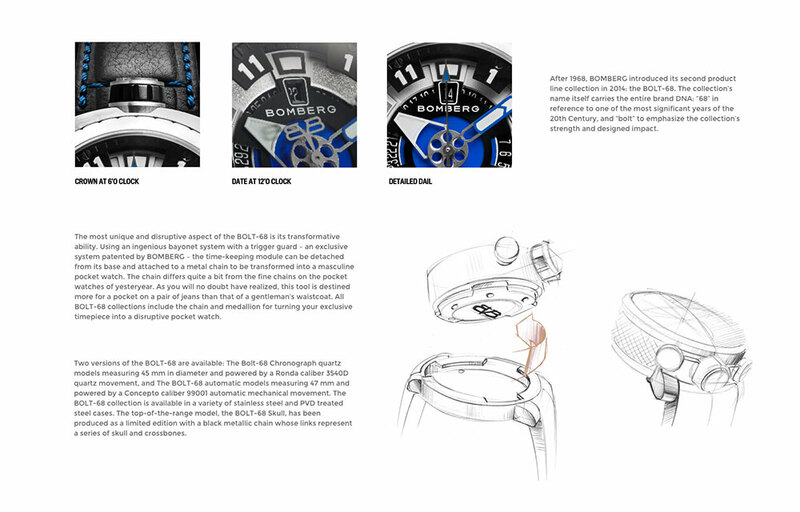 Swiss precision engineering gets a dose of the unexpected with Bomberg. 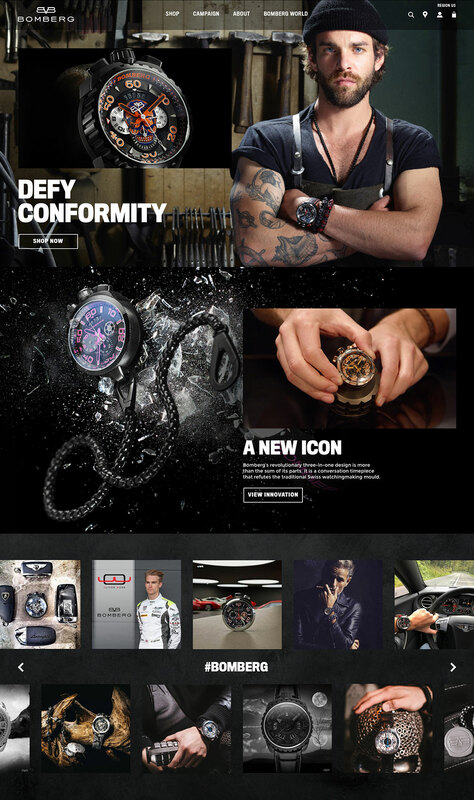 This young company is on a mission to create a niche timepiece lifestyle brand that is nonconformist and different. Drawing inspiration from motorcycle culture and the world of art, the brand enlisted our help in solidifying their presence and building an eCommerce flagship. Our goals are to increase online sales, tell the brand story through content, and provide an immersive brand experience across all digital touchpoints. We created a world where a timepiece transforms from a wrist watch to a pocket watch to a desktop clock, and back again. The site is built on the Sellect platform for full back end support and functionality flexibility. We devised a promotional system befitting this luxury brand – limited-time offers, rather than a typical sale section. 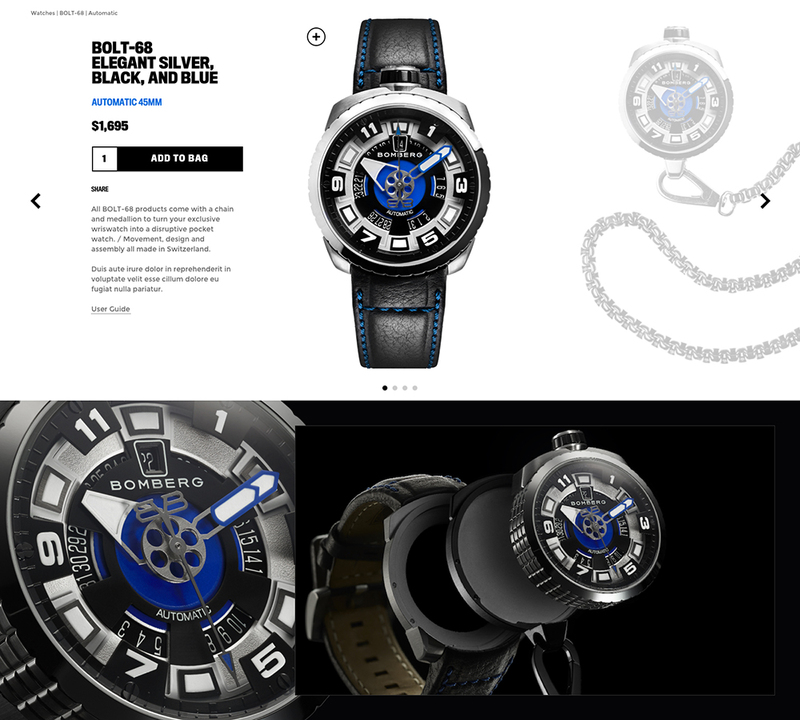 The back end automatically pulls through the hex color of watch details on to the product detail page. 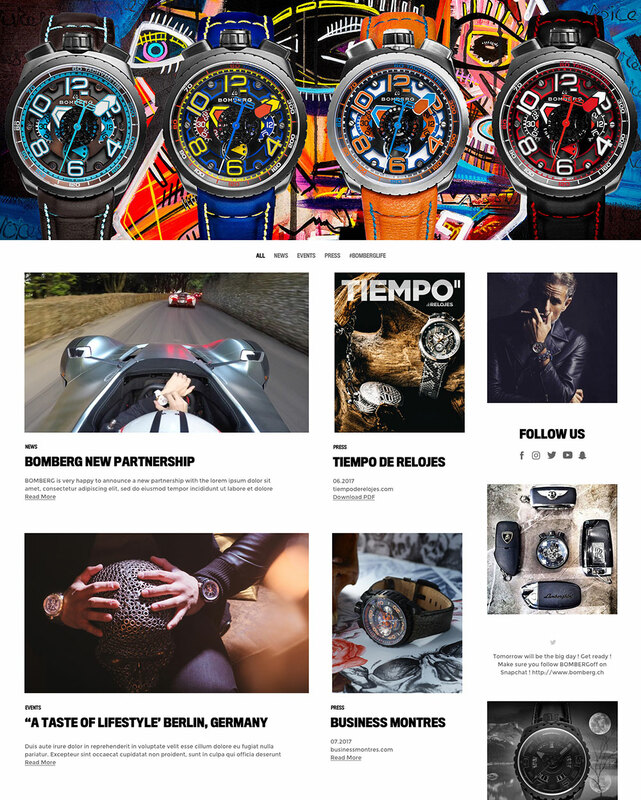 Bomberg World mixes brand updates, social media, press, and event coverage in a ruckus of striking visuals and insider information. We brought on our digital marketing partner, Hearst, to develop a digital marketing plan that ensures targeted customer acquisition. With our eyes on every aspect of the brand’s digital effort, we ensure sustained growth for years to come.